Home Inspectors Reference Manual – Everything about Home Inspection, regardless of state, county or city. Common Repair / Replacement Prices – Averages prices for the repair / replacement of some problems commonly found during home inspections. Water Heater Dangers – See what happens when your water heater’s safety features are not properly working. Deck Failure Directory – Up-to-the-minute information about wooden decks, their proper construction, and common defects found in wooden decks. A must for anyone who has a deck or wants one. How to handle basement water – All about keeping your basement from flooding, and what to do if it does. Component Life Expectancies – Average life expectancies of house systems and components. Why Inspect a New House – Why do a home inspection on a newly constructed house? 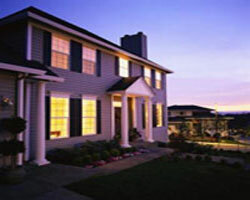 Home Buying Steps – Some basic steps, and the order to follow then, in your home buying quest. Two Different Types of Inspections – Why are some inspectors more expensive that others? GFCI and AFCI outlets explained – What are GFCI and AFCI outlets and why are they now required? Finding Water Heater Info – All you ever needed to know about water heater age, size and info. The 3 Most Common Mistakes Every Homebuyer Should Avoid – Learn how to avoid making the 3 most common mistakes that new home buyers make. Home Electrical Basics – A very useful web site that shows the basics of a home electrical system. Common Water Pipe Corrosion Problems – View some of the common water pipe corrosion problems. Everything you always wanted to know about Toilets – Some basic information about toilet plumbing. Gallery of Home Defects – A comprehensive library of home defects and problems from around the country.